Accutane Price – How Much Does It Cost in and Outside the US? Accutane is a medicine typically used to treat severe acne (nodular acne, as per the FDA’s Accutane Medication Guide). It is used as a last resort, only after other treatments such as antibiotics, haven’t helped the patient. Accutane Price can greatly vary depending on where you order it from. Accutane comes with an iPLEDGE Program Patient Introductory Brochure, which must be read and signed as an agreement that the patient will carry out all the instructions – as it can cause severe congenital disabilities including birth defects after Accutane use in pregnant women and even cause serious mental health issues. Accutane now trades under the name of the active ingredient, Isotretinoin, so remember to ask for that when purchasing Accutane. Accutane price can be between $200 and $800 for 30 doses of 40mg. However, one can obtain Accutane online for less than $100. Some online pharmacies even offer discounts to those who purchase from them. You can expect to pay $213.75 for thirty 10mg capsules, $248.25 for 20mg and $746.00 for the 40mg capsules at Kmart. Thirty 10mg capsules will cost you $191.27, $225.47 for 20mg, and $260.63 for 40mg at CVS Pharmacy. The Accutane price at Rite Aid varies between $352.00 for thirty 10mg capsules, $583.00 for the 20mg and $485 for 40mg. Kroger will charge you $241.75 for thirty capsules of 10mg, $249.25 for 20mg and $277.15 for 40mg. At Walgreens, you can expect to pay $205.17 for thirty 10mg capsules of Accutane, $242.25 for 20mg and $246.21 for 40mg. Bargain hunters will get thirty 10mg capsules for $194.00, 20mg for $248.20 and 40mg of Accutane at $215.20. Target charges $214.25 for thirty 10mg capsules, $400.00 for 20mg and $425.00 for 40mg of Accutane. Buyers will be charged $213.75 for thirty 10mg capsules, $311.00 for 20mg and $405.00 for 40mg. While some websites even throw in some free Viagra promises, the best Accutane price for online shoppers, with huge savings when you purchase from them. Accutane now trades under three generic names, namely Amnesteem, Clavaris, and Sotret. Depending on which one you choose, the price will vary. The more unique the drug, the higher the price will be. How many drugs are out there treating the same condition? In the case of Accutane, there are three different choices, lowering the price a little on each of them. Simple supply and demand. Should a new form of Accutane enter the market, the price will typically be lower for the manufacturer to acquire a share of the market, thereby driving down prices for the market as a whole. The ingredients used to produce the different generic forms will affect the Accutane price. The more expensive the ingredients, the more expensive the medicine will be. These ingredients will also have an influence on the number of Accutane side effects that a user will experience. When one brand of a drug causes more side effects, causing a user to have to acquire a different drug to treat those symptoms, the brand will become less popular, hence increasing the price. People who prefer online shopping will usually look at the prices of medicine outside the USA because they’re comparatively cheaper. In the UK, prices on certain websites vary between £0.42 and £1.22 per capsule, depending on the strength. Shipping costs may be greatly increased, depending on where you are. Some websites outside the US, which accept payment in BitCoin, sell Accutane for $0.56 to $6.17 per capsule. Shipping costs an additional $9.95 for orders under $200. 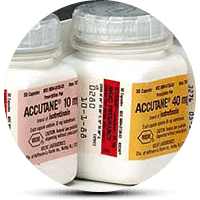 Some others sell Accutane at prices ranging between 0.49$ and $2.50 per capsule. International shipping will set you back $10 while trackable courier shipping costs a whopping $30. Addiction Resource » Addictive Substances: The Anatomy of Drug Addiction » Accutane: Know The Benefits And Risks Of Using It » Accutane Price – How Much Does It Cost in and Outside the US?